The Music Ministry program at Pilgrim is lead by our Music Director, Taylor Kirkwood. 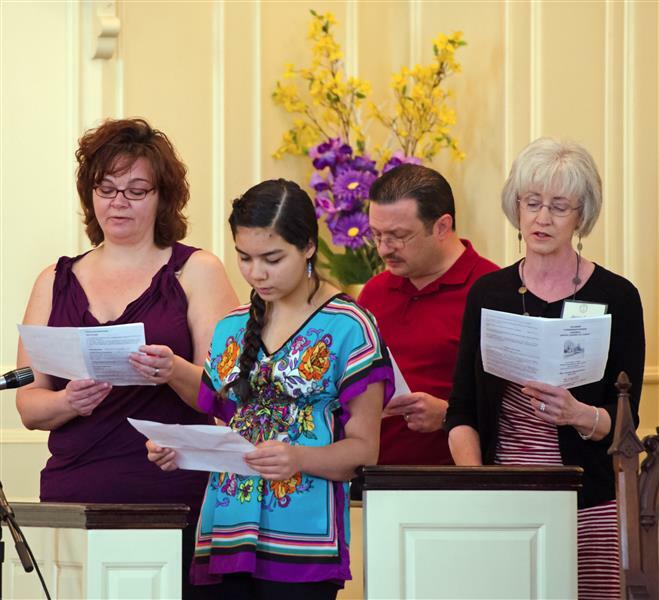 The adult choir is a spirit filled group of new and experienced singers who join together to not just "Make a joyful noise unto the LORD" ~Psalm 100, but to make a beautiful form of adoration and prayer. We invite you to participate in our Music Ministry. No previous experience is necessary; you will have the opportunity to receive expert guidance and to expand your talents in a supportive atmosphere. Learning the music of outstanding composers, enjoying the fellowship of other music lovers, and serving God through song await you.